Quick sidenote: I was on Farnoosh Torabi’s So Money podcast yesterday chatting about our uber frugal life. If you’re interested, you can give it a listen here! It’s not just about the money. Although the most obvious destination of frugality is having a bunch-o-money saved up, this is by no means the only benefit frugality yields. In fact, Mr. Frugalwoods and I find that some of the tertiary results of our extreme frugality are as enjoyable as the monetary fruits. After all, if we didn’t love living this way, we wouldn’t do it! Simple as that. Our luxurious approach to frugality allows us to meet the dual goals of 1) saving 71% of our income in order to enable financial independence, and 2) creating a lifestyle we find vastly more rewarding than the typical, prescribed routine of excessive consumerism and a focus on material goods. Frugality isn’t about deprivation or hardship, it’s about creating a purpose-driven existence in which your spending is focused towards your ultimate goals. Wondering what frugality can do for you? I’m so glad you asked! If you’re looking to increase your happiness, decrease your spending, be more attractive to potential mates, own a greyhound, get more sleep at night, grow back your hair, and find that one weird trick for weight loss, then frugality is for you! Ok so maybe it won’t quite do all that stuff for you, but here are 11 fabulous things it will do. This really hit home over the weekend as Mr. FW and I eagerly prepared for Babywoods’ arrival (11 weeks to go!). Since we have all used (and primarily free) items for her, we needed to employ a bit of ingenuity to get everything in top shape. I washed and organized all of her tiny used clothes, blankets, towels, sheets, baby carriers, toys, books, baby wraps, bassinet/nursing pillow/infant bouncer/swing/play mat covers (I’ve learned there are lots of covers involved in baby paraphernalia, which makes cleaning them super easy!). 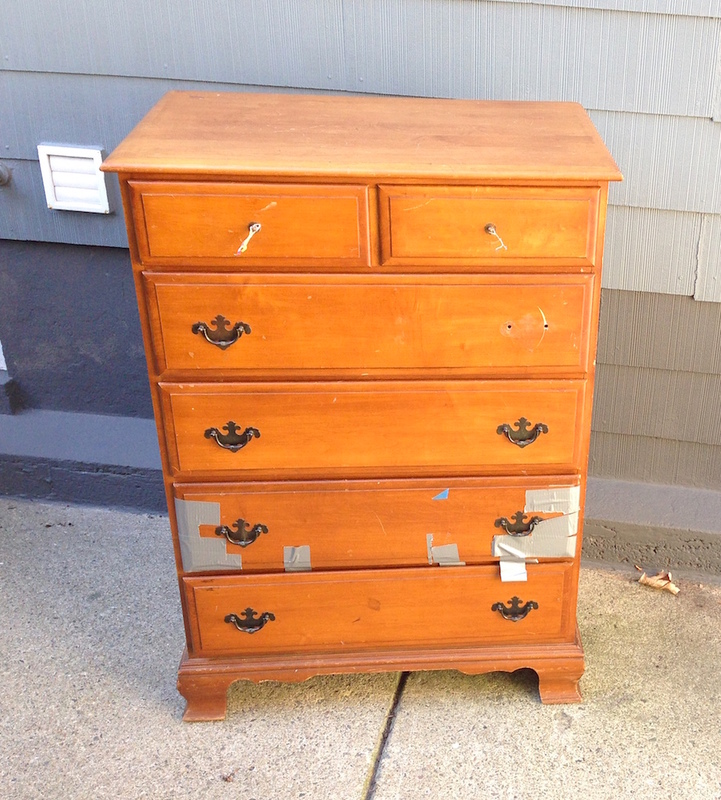 And Mr. FW refinished this dresser we found by the side of the road (trash find score!) for her nursery. He thus transformed a sad, heavily lacquered 80s-era situation–which underneath was a solid wood, dovetailed piece of furniture–into a charming white ensemble. If we took the boring, traditional route of running to the store and buying a dresser, we’d not only be several hundred bucks poorer, we also would’ve missed out on the satisfaction that comes from working with our hands to transform something from the trash into a gorgeous treasure. Since our default is to not spend money, we’re constantly engineering ways to circumvent buying things. Whether it’s taking hand-me-downs and making them look new or finding interesting ways to entertain ourselves, frugality gives us the gift of using our minds–instead of our money–to create our delightfully quirky world. 2) Cuts down on waste (food and otherwise). We throw precious little into the trash around here. One of the ways we keep our grocery bill so low ($300-$350/month for the two of us) is by rarely wasting food. We eat everything we buy, which is good for both the pocketbook and the environment. Food waste is a significant problem in landfills these days, and it’s a simple thing we can do to be more conscious of the world we live in. Everything we own gets used until it’s either tattered beyond repair or it’s time to pass it on to someone else. We don’t throw stuff out because we want newer stuff or need to clear things out of the house. The Frugalwoods trash is reserved for just that: true trash. Just yesterday, I gave away our empty Sodastream CO2 cartridges, which for some reason I’d held onto for a full year after Mr. FW performed our epic Sodastream hack with a 20lb CO2 tank. No idea why it took me so long to get rid of these, but I found no less than four people through the Buy Nothing Project who were delighted to have them. I love this circle of reusing–it ensures we don’t buy more than we need and it drastically reduces the amount we toss. The frugal life is almost always the environmentally friendly life. Nearly every frugal strategy doubles as an environmental boon: driving less, rarely buying new things, not wasting food, using our heat and A/C sparingly–it’s all connected. Although Mr. FW and I are no green pros, we aim to do our best in this arena. And the very fact that we consume less stuff, food, gasoline, and electricity than the average American is a wonderful added bonus of our frugality. It’s also part of our general outlook. We see no reason to use more than we need of any precious resource and it’s an approach that makes us all the more appreciative of these luxuries when we do use them. If we flicked on our AC at the first sign of warmth, for example, we’d never experience that rare pleasure of entering a truly cool home on a 90-degree day (and not merely on a 75-degree day). We also regularly save perfectly usable items from certain landfill death. I know I keep using Babywoods’ nursery as an example, but it’s our most recent project and I have baby on the brain! So, bear with me… if we’d bought all new furniture, clothes, toys, books and sundry goods for her, think of the astronomical embodied costs of all that new stuff: the packaging, the carbon emissions, the raw materials, etc. Instead, by using second-hand goods, we’re simultaneously circumventing the energy and resources required to make new things and saving perfectly decent products from the landfill. In our minds, beyond the monetary savings, it’s worth it to go used for the reduced carbon footprint alone. Thriftiness engenders community. We’ve met more people through sharing, donating, giving, and lending of our time and stuff than through any other mechanism. By helping our friends, and accepting their assistance in return, we build genuine relationships that aren’t merely focused on entertainment or diversions. Finding ways to be there for our friends and neighbors by dog-sitting, lending our stuff, watering gardens, cooking meals, fixing furniture, and loaning Frugalwoods-mobile for carting gigantic items has allowed us to create a community of caring individuals who look out for each other. And, through the Buy Nothing project, we’ve been able to extend that community to people we don’t even know. We’ve received countless amazing baby hand-me-downs through Buy Nothing and have given away countless items we no longer need. Last week I was able to give away a bag of business clothes Mr. FW no longer wears to someone in desperate need of just such clothing. Nothing makes me happier than these serendipitous exchanges where no one pays any money or proves their worth or expects anything in return. Approaching the world as collaborative givers allows us to get creative in how we utilize our time, talent, and resources. We’d much rather use our own skills and abilities to help our friends than pay for these services. I’ve found there are quite a few other folks who feel this way too, which is a refreshing discovery. Although I think the frugal life still exists largely on the fringes (I mean, we are frugal weirdos after all… ), it’s entirely possible to create a tribe that values this cooperative ethos. 5) Forces you to evaluate your priorities. As soon as Mr. FW and I decided to live our lives outside the standard path of buying things we don’t need, we were faced with the fascinating task of identifying what truly matters to us. 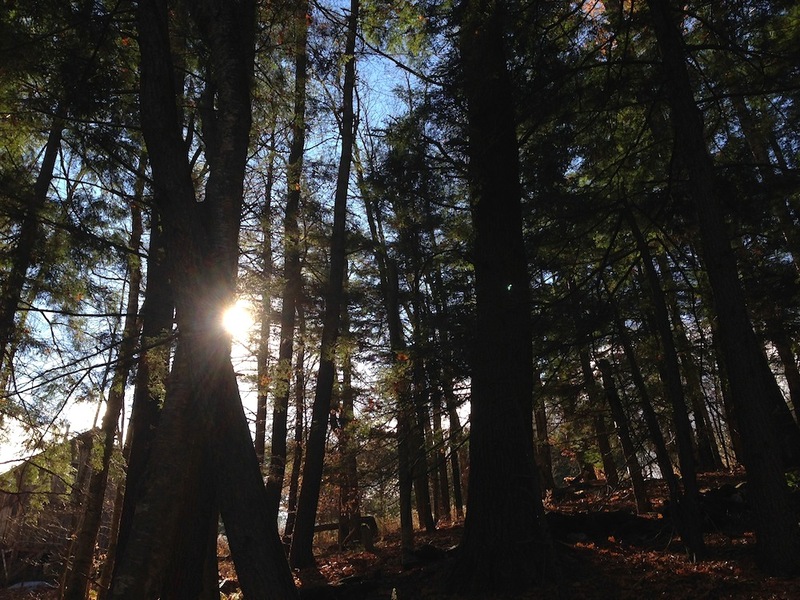 And after setting our goal of retiring to a homestead in the woods at 33, we find ourselves relying less and less on diversions–like TV or eating out–and instead pouring our energy into projects and philosophies we care about. Not giving up my coffee! I mention eating out because once upon a time, that was a major event for us–we’d eat out every Saturday night and it was the occasion we’d look forward to all week. We built it up in our minds that if we could only make it through the week, then we’d get to go to a restaurant. But once we realized that eating out wasn’t bringing us lasting satisfaction (in other words, it was a dreaded road bump opiate), it was a clear decision for us to eliminate it from our lives. Doing this was honestly difficult at first, but after a few months, we found we didn’t even miss it. And that’s a very revealing fact: if you can remove a splurge from your budget and still experience happiness, then you didn’t really need the splurge to begin with. Frugality isn’t about removing all splurges (I’m not giving up my coffee or seltzer anytime soon), only those that don’t score highly on your own personal cost/benefit analysis. We’re no longer turning to escapism in order to savor our lives–rather, we’re transforming our lives into daily compilations of how we want to live. Instead of rushing to the weekend to cram in all the things we want to do, we’re orchestrating a life in which we’ll do those things every single day. Focusing on our priorities also means that when we do spend money, it’s almost always on something very specific and well thought-out, which we’ve carefully decided will bring pleasure into our lives (like our recent chest freezer acquisition). Spending only in service of your goals inoculates you against buyer’s remorse. One of my personal favorites: the old Frugalwoods adage that frugality gives you options. Living frugally means you have the financial freedom to take risks, change jobs, quit your job, weather a health crisis, make a radical life change, travel the world, or do any number of other non-conformist things. You have the money saved up, and the security it provides to pursue the life you want. It’s as simple–and awesome–as that. Don’t let your spending prevent you from doing what you want with your life. Instead, let frugality sculpt the life you crave. 7) Fosters close family relationships. Since Mr. FW and I insource a great many things–haircuts, cleaning, cooking, home repairs, dog care, and more–we spend a ton of time collaborating on projects. On an almost daily basis, we problem solve, create, advise, innovate, and just generally enjoy one another’s company. Our efforts are focused on helping each other–not on spending money so that someone else can do stuff for us. In this way, our relationship has deepened tremendously. Though we had a fine marriage before our stint of extreme frugality, we have a stronger and more meaningful connection now. Our partnership extends to every aspect of our lives and we respect and depend on one another in ways that our modern society usually pays away. There’s nothing quite like wrangling/wresting a 60lb Frugal Hound into the bathtub together and then scrubbing her down as she mournfully shakes water all over the entire bathroom. Experiences like this almost guarantee a closer bond for any couple (not to mention the unique charm of then pulling tufts of dog fur out of each other’s hair–super romantic!). We’ve found that every small victory we achieve through cooperation (such as refinishing our kitchen cabinets) gives us the confidence that we can achieve even greater victories together. It’s one of the reasons we’re so excited about our homestead plans–even though it’ll be a brand new learning experience rife with missteps and hilarity, we’re confident we can figure it out together. In the same vein, we look forward to bringing this spirit of family work to our raising of Babywoods. We intend to spend a lot of time with Babywoods and nurture her creativity and curiosity about the world through hands-on work. We won’t tell her to work hard and do things for herself, we’ll lead by example. 8) Brings peace and simplicity into your life. Without the pressure to conform to social norms of spending, appearance, and conventional metrics of success, our lives are increasingly less stressful. Before starting our journey to early retirement, I was a pretty high stress person–a classic Type A with an endless drive for perfectionism. I was constantly on the war path for my next big win, my next success… and it didn’t bring me any happiness or fulfillment. I was anxious, stressed, and exhausted. Letting go of those external validators of my worth as a person brought me a freedom and a peace of mind I never thought possible. Mr. FW and I live the lives we want to live–not the lives anyone else expects us to. I find this manifests itself in everything from my decision to stop wearing most makeup, to my clothes buying ban, to my commitment to ruthlessly optimizing every part of our lives. Living for myself and my own goals is liberating and it’s brought me to a place where not only do I disavow the judgments of others, I find myself not judging other people’s decisions either. I’ve realized that we’re all on our own distinct trajectories through life and there’s no one right way to find fulfillment. Be you and ignore the haters. 9) Fewer consumer choices = happiness. Eliminating shopping from our schedule frees up both our time and mental resources for more productive endeavors. It takes a fair amount of energy to spend the afternoon at the mall selecting the perfect shade of turquoise golf shorts. It’s a lot easier to wear what we have–or score something from Goodwill. My goal in life isn’t to be a consumer and I relish how few times I need to set foot in any store other than the store of groceries. Furthermore as humans, endless choice doesn’t necessarily make us happier. It’s far more likely to stress us out and tax our little mammalian brains. By taking hand-me-downs and other used items, we don’t suffer the worry over whether we should’ve bought the blue one or the red one or the small one or the large one–we take what we’re given, or what we find on the side of the road, and are shockingly pleased with it. And then we get on with our lives. Our existence doesn’t revolve around our stuff. 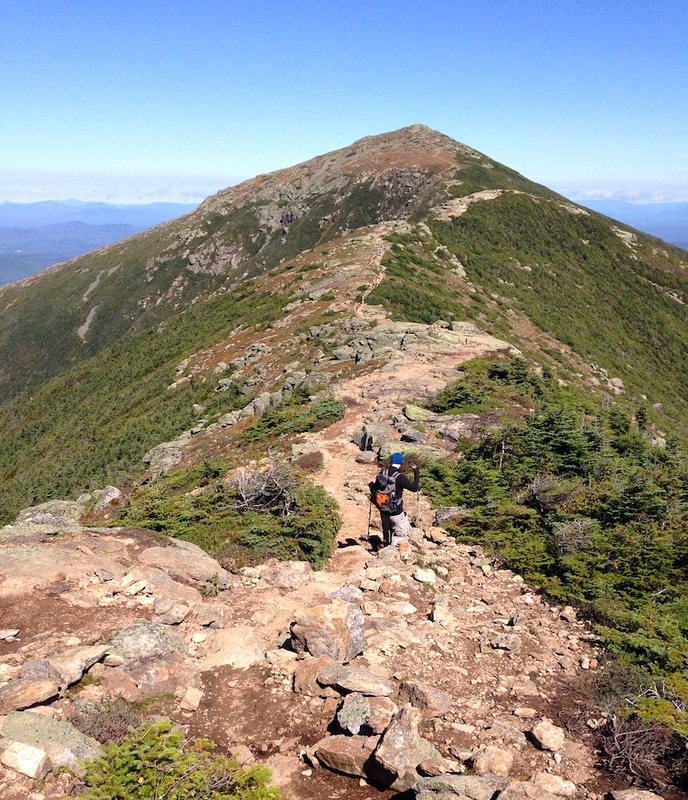 Whether we’re walking or biking instead of driving, repairing things around the house, hauling furniture from the side of the road, or hiking (the ultimate frugal hobby in my humble opinion), we move our bodies quite a bit. It’s kind of tough to be lazy and frugal (although we’re admittedly very lazy about budgeting). We have no need for a gym membership since most of our exercise is the result of us living our daily lives. It’s bizarre when you consider the fact that the classic American route is to pay other people to clean our houses, wash our cars, and walk dogs, so that we can pay to go run on a machine inside of a building… think that one over for a minute :). Though don’t get me wrong, I do love my free yoga. 11) You’ll never be bored. One thing I can absolutely guarantee is that, if you live the life of the extremely frugal, you’ll never be bored. There’s simply no time or space for it. Constantly employing our creativity, exploring free events around town, cooking new recipes from scratch, or just plain scratching Frugal Hound–frugality entails living a very real, very tactile existence. We use our hands a lot. We don’t pay for easy solutions. And we find humor in nearly everything we do (ok, maybe not everything, but we try to laugh at ourselves daily). Because why not? This is what life is all about. I was reflecting this morning that there’s no other way I’d like to start my day than how we begin every single morning. We wake up together, I take Frugal Hound out, and Mr. FW prepares our coffee and breakfast. Then, we sit down at the table together and engage in things we both love: I write and Mr. FW reads. Instead of wishing for an exotic vacation to take us away from our daily lives, we crave the life we already have. Frugality isn’t a tactic, it’s a mindset and a joyful lifestyle. 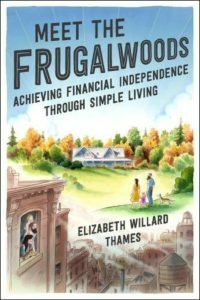 Sure, frugality is about saving money and it’s about financial freedom and it’s about creating the longterm life you want. But it’s also about opening up an entire world of simplified, honest, fun living. It’s about the personal accomplishment and satisfaction that comes from learning new skills, fixing things, and relishing all of the gifts we already have. It’s about being content without the junk marketers tell us we need to buy. It’s about being your own person and not the person society says you’re supposed to be. What non-financial benefits of frugality have you discovered? Great list! One of our favorite parts of being frugal is that it makes us more useful. Whether we’re learning DIY skills, new recipes, or how to negotiate, we find ourselves becoming more skilled and productive people when we find free ways to get what we need and want. And it’s definitely a fun adventure that bonds our family, too. Absolutely! It’s a wonderful way to build skills and take pride and ownership in what you do. I love the self-enfranchisement that frugality creates! That’s awesome you guys are reaping those benefits :). We were just reflecting on all the benefits of frugality a couple of weeks ago. Having to maintain the life we lived before this year was stressful. Our frugal-minded, self-reliant life today is far less stressful, which I think has been the single greatest benefit! It really is amazing how much less stressful it is to live the peaceful, frugal live. I love that you’re enjoying that benefit! 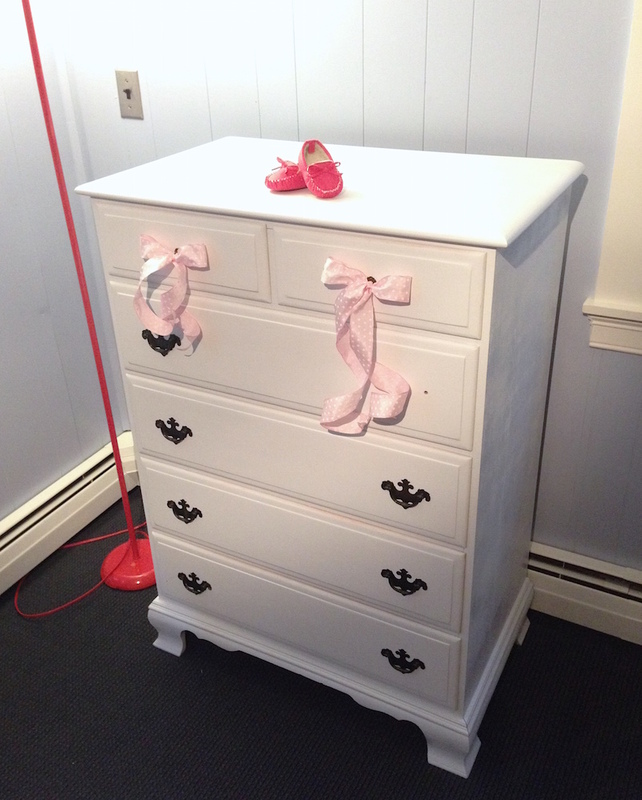 Very impressive dresser transformation! I think I had that exact same dresser growing up! Frugality and environmentalism definitely go hand-in-hand. I like the fact that being cheap causes me to buy fewer new products and that it forces us to reuse what we already have. I’m keeping stuff out of landfills over here! So true! It’s a wonderful symbiotic relationship between spending less and wasting less. I love the cycle! 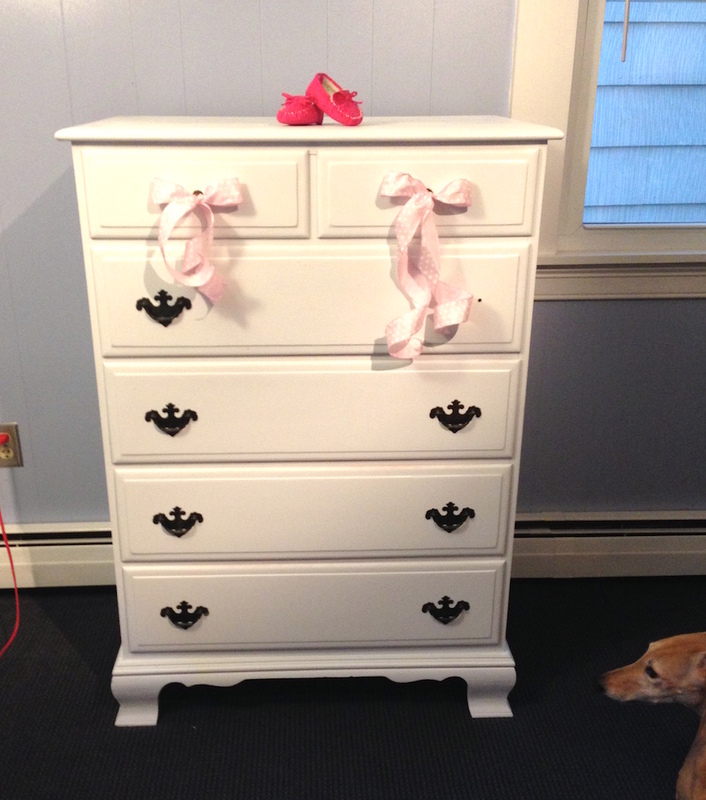 That dresser and those pink shoes…holy cute! Out of all of our roadside finds, a refinished dining room table set tops the list. Everyone swoons over the beautiful wood, and we shudder at the thought of it in a landfill. For us, creating things ourselves and testing our resourcefulness allow us to really savor what we’re doing and take a lasting pride in it. I used to be guilty of running out to purchase things whenever it struck my fancy. If I could get a great deal on it, there was the sense of pride…that lasted right until I had to find a spot for it. Now, between decluttering that stuff and focusing on what we do have and can do ourselves, it’s a more lasting sense of accomplishment. Yes! Well said. Resourcefulness is such a wonderful attribute of frugal people :). And, congrats on your dining room table set–that sounds like a stellar trash find! I always think of the first one you mentioned – creativity- as a fantastic side benefit of frugality. My husband is really great about this. He’s great about rigging up systems and using what he can find to fix things in our house and yard. I also really appreciate that saving money and the environment often overlap. Absolutely! I think frugality yields such a richly creative life–I wouldn’t have it any other way :). Kudos to your husband for rigging up solutions! Thank you so much for sharing these benefits with us. It is amazing how the benefits appear to snowball! I am just dipping my toe into frugality, but I have found some satisfaction in completing tasks myself, that I didn’t know I could have. I also have found a deeper appreciation when we decide to splurge. It feels more like a choice then a habit. Thank you for your continued inspiration! Thank you for your kind words, Kristen! We’ve found that frugality brings amazing benefits into our lives–it’s about so much more than saving money. I’m excited to hear you’re discovering those joys for yourself! Woohoo :)! I wish I had been as frugal as I am now when my son was born. Babies need very little and I spent thousands preparing for his arrival. Silly mommy! You two are so smart and your little one is very lucky! #1 is HUGE. Poor college student Erica had to learn to be very creative in terms of home decorating and gift giving. I’ve since learned a lot of cool skills that help me make money on the side (via etsy) and some badass Holiday gifts! That’s awesome you’ve turned your creativity into a side business! There’s yet another benefit of living the frugal life. #1 was a big one for us. We found a cheap dresser/changing table for our nursery but the color was faded and didn’t go with the room. We were able to refinish it, put on new hardware, and it was as if we purchased a new one at the store for a bargain price. It also was fun to plan and implement the changes with my wife. I really enjoy this too, Kate. My brother and his whole family — 8 people — are visiting us for Christmas this year. We don’t ordinarily exchange gifts, but I wanted to give them all something fun and inexpensive, so I decided to knit hats for everyone. I’m making them striped and using up all my odds and ends of yarn from other projects. My hope is to get a picture of all ten of us in front of the tree in our crazy knit hats. I don’t know how to knit at all but I crotchet and I’ve done project like that too. This year I need to make mr. Roamer a stocking. Awesome, ladies! I’m impressed with your weaving/knitting/crocheting prowess! I’m a very novice knitter and it’s something I’d like to get better at. Thank you so much! Mr. FW did a wonderful job with it :). The frugal life really is the creative life–I’m convinced! There is a link for “find a group” once you get to the page. Sadly, they aren’t nationwide. None in my area. Thanks for sharing, Darcy and Tracy! And I second what Tracy said–consider starting a group in your area :). It’s a wonderful outlet for community-building and stuff-sharing. Nice job on the dresser! I’m horribly un-handy so I’d have to recruit a friend for something like that. My two favorite things about frugality is simplicity and less waste. So much like here! Yesterday was a day of extreme frugality (though we did walk to the grocery store and spent $18 on 5-6 pounds of steak, bananas, and cookies, all on clearance or deeply discounted). Yum. Your meals always sound ridiculously delicious. And the blend of exercise and family togetherness is ideal! I love how frugality creates these incredibly enjoyable lives of ours :). Thanks so much, Emily ;)! Very nice list. I like your priorities. Many thanks :)! Thank you for reading. Great work on the dresser! I think the issue with paying others is always the money vs. time argument. For example, the gym. On one hand, why do you drive to the gym to run on a treadmill or ride a bike? Well, when are you there? I work out at the gym at 5:30 am. I swim in a pool, sometimes I ride in a spin class. At 5:30 am, it’s dark out. It is not safe to ride my bike outdoors. And I haven’t found an alternative to the swimming, that doesn’t involve an issue with safety. I have swum in the ocean, but most of the year it’s cold, and you really must swim with others to be safe. I see others at the gym doing…yoga, or exercise classes, or basketball. I see a lot of elderly people on bicycles. Mostly because they cannot ride on the road (balance, safety). When you aren’t FI, and you do have to work for a living, you try and figure out how to fit things into your current life. I like to walk on weekends for errands. I used to bike to work, and I like to walk on my lunch break. I lift weights at home. But I really enjoy swimming and I haven’t found another way to do that. There is a limit to the money vs. time argument though. I hear “my time is worth more than that”. If you are hourly, or a contractor, then that can be true. If you can pay someone $10 an hour to clean your house and walk your dog, but make $100 a hour (and actually prefer that, great). But for me, there is a limit to how much enjoyment I would get out of work. (On top of that, I’m salary – so I get nothing for working overtime). And of course, there is sanity – there is something to be said for having someone mop your floors when you have a crawler, an older kid, and 2 parents with a full time job each. I so agree on the time vs. money thing. Yesterday my husband attempted to save the $127 installation fee by putting on our own storm door from Home Depot. Six hours of effort and cursing later, and still no affixed storm door–means we’ll be shelling out that installation money anyway. Those hours lost … and his bad mood … and now still more money down the drain … ugh. Sometimes DIY is more like screwing yourself (if you’re not already super-duper handy to begin with). Ha ha yes! My husband spent a few hours fixing our sink drain this weekend. He was successful, yay! On the other hand, our A/C is not working. Most people here don’t have it, but it’s nice on those few hot days (it’s been 95-100). We hired someone to look at it, and they said “it’s fine”. For $118, I can tell you that while it seems to be blowing cold air, the house doesn’t cool down very far with the AC running. I don’t want to pay for AC if it doesn’t work. 2. Vent/ valve/whatever to the kitchen was closed off, so he opened it. 3. Some of the air was leaking out of the vents in the attic, fixed it. But still, it’s not working well. He thinks he can feel air flow in the attic, suggesting more leakage, but on the far side of the unit – which is hard to get to and fix. We had our roof replaced last year, and a lot of rotten wood was replaced, and I think that the roofers may have dislodged some things. It is fairly quickly turning into a “get an HVAC guy” (as opposed to the last guy, who said he’d apply the payment to any work if it still didn’t work. But I wasn’t impressed with him). Our AC still sort of works – we can generally keep it to 82 to 84 in the house if it’s 95 outside. That’s tolerable when awake but I must admit I haven’t slept at all the last two nights. I’m dragging. Fostering creativity and uncovering increased options are the two biggest benefits of frugality in my life. Though all of these are dead on. Gotta love the creativity and options! Those are probably my two faves as well. I love the options that being frugal brings to a person’s life. By being frugal, you are more able to take risks. I was able to pay off my student loans which then led to me leaving my day job for my business. Wouldn’t change that for the world! That’s such a perfect illustration of the wonderful opportunities frugality can create in our lives! So awesome! I love refurbishing old furniture. The pieces are always more sturdy than most of the new available, and most of the old stuff was made here instead of overseas. Dining out…. what’s weird about cooking for yourself is that if you get good at it, most of the stuff available in restaurants, certainly in chain restaurants, is icky by comparison. Even pizza, we make our own and it’s much better than anything we can get already made and entirely more economic. So very true! We’ve had that exact same thought! I LOVE the dresser!!! SO cute!!! 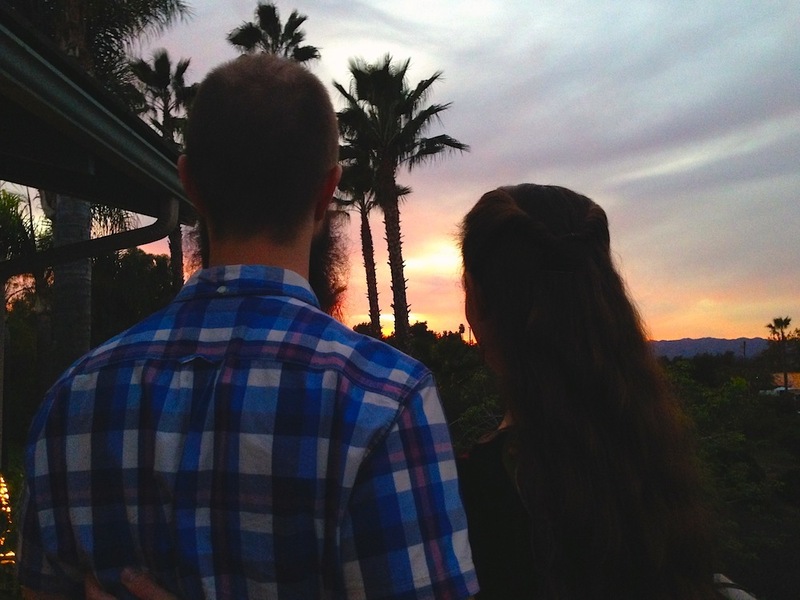 For us, becoming more frugal definitely led us to become stronger as a couple. We truly feel like partners in every decision and encourage each other to get more creative about having fun and saving money. Thanks! Mr. FW did a good job on the dresser :). 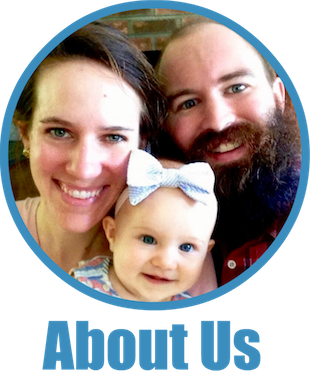 I love that frugality brought you two closer as a couple–we’ve definitely experienced the same thing. I never would have taken a second look at that dresser, but you have changed my thinking. What a makeover! I love reading your posts and you both have inspired me to try my hand at frugality and minimalism. Thank you so much! I’m excited to hear we’ve piqued your frugal interest :). Completely agree with your benefits of frugality. Not to mention all that time you and mr frugalwoods spend doing projects together probably makes for a stronger marriage. Just a thought. Have a great day! 100% agree! Check out #7 above :). Love the shirt Mr. FW is wearing in the pic! Frugality has removed so much stress in our lives. I also dislike/ refuse to shop as a hobby- so it has saved us money AND time! Thanks so much! That’s one of Mr. FW’s great thrift store shirts–definitely one of my favorites :). 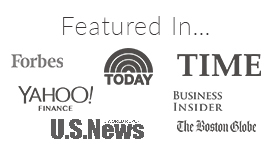 I love hearing that frugality has removed stress from your lives–so awesome! Love the new post. Your site overall is very inspiring and I’ve already tried implementing a couple of your tips. I love various DIY projects which I try to post on my blog, so making useful things plus saving money is a big plus for me. Nice job on the podcast. It was a good listen. Frugality for us has helped cut down consumption and waste in many ares, not just financially. Love this post. I think being frugal makes things so much more interesting. Anyone can go to a store and buy something, big deal. But to make something, create it, it’s yours and yours alone. When my kids were little, any time I would make something, whether food, something I had sewn or whatever, I always said it was made with love and that ingredient makes everything better. I would prefer to get a handmade gift over something purchased at a store for the same reason. My kids grew up appreciating the things I made them and never once complained about not having expensive things other kids had because they learned to understand the value of an item is about more than what it costs. You will be teaching your baby the same thing. I completely agree! There’s so much personal satisfaction to gain from doing and creating things ourselves. Plus, it engenders wonderful creativity and self-reliance, as you noted! Frugality tests our creativity and makes us to choose the best out of all options available. And the creativity thing is a huge benefit. I am always so stoked when I come up with a free (and often better) solution to something we need around the house. The other day the end popped off my umbrella and I replaced it with a glued-on button I had had in my button box for probably 15 years. I smile every time I look at that umbrella now. Your firewood cutting morning sounds wonderful! What a perfect exercise in frugality :). Love the umbrella story too! Super post. . I find that my motivation has been more and more about being environmentally friendly.. Can you blame me? right now I think I’m on high alert thanks to this drout we are currently in. There all good and true… But I would enjoy seeing more of the community side effect too. I don’t think I am enjoying that side effect yet. Very true about the environmental aspect of frugality! Please, please do not tell Mr. Crackin’ that frugality will grow back his hair 🙂 There will be no stopping him then! This is the guy who argued with me about an extra bottle of mustard I tried to buy at the store! Guess who won? It wasn’t me. I did have the last laugh though when we ran out and the mustard was greatly missed! That is so true that lazy and frugality do not go hand in hand. Maybe we shouldn’t tell them that though! Haha. Kidding, just kidding. There’s always something more to do, right? Meals to prep, home repairs, car repairs, etc. It’s hilarious because it talks about changing diapers, bathing babies, buying the wrong brand of food, doing dishes and laundry! Sounds like life to me! Haha, pretty sure frugality does not work on hair–at least not in Mr. FW’s experience ;). That dresser looks beautiful! We scored a very old baby dresser from Mr. FP’s grandma. It needs to be re-painted now as (a) 4 is a little older for a yellow dresser and (b) the adhesive straps I installed to keep Big Brother from tossing his clothing all over the room during naptime took off the paint. But we’ve shoved it in his closet, so maybe I will just leave it there until he is old enough to (1) complain and (2) paint the damn thing himself. I really love the satisfaction of fixing something! A Goodwill shirt with a fallen hem, a booster seat with broken elastic, yard sale sandals with non-sticky Velcro… I love making things functional again! And then in the kitchen, I feel like a bit of a magician when, for instance, I take a spoonful of yogurt and a quart of milk and wind up with a quart of yogurt! 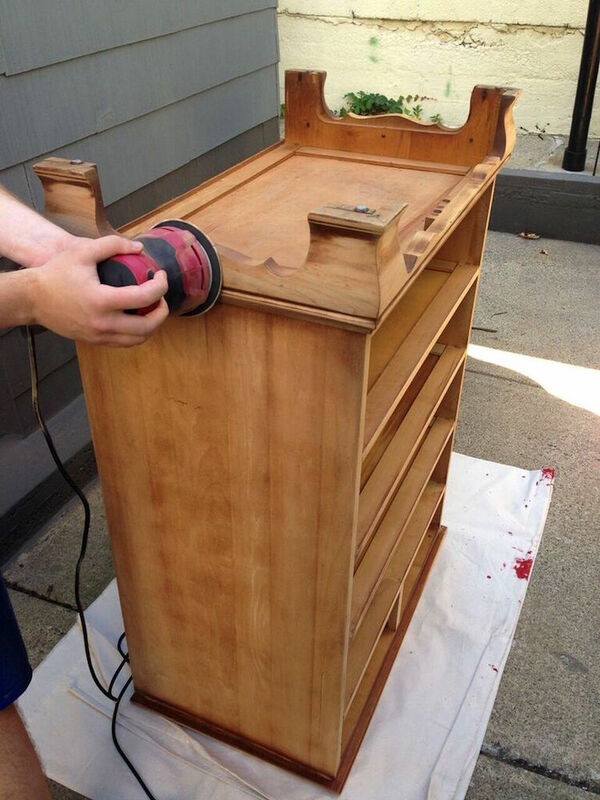 I like the idea of waiting until he can refinish the dresser himself–sounds like a good solution to me :)! And, I’m with you on the satisfaction of fixing things yourself. So much more rewarding! That dresser looks really nice! I’ve done several pieces over myself and have always loved the results. It seems you could use one more piece of hardware and I happen to have one you can have for that long first drawer. If you’d like it, pop me an email and I’ll send it to you in the mail asap. I love living the frugal lifestyle. It is less stressful overall. And as you point out more peace and tranquility. At first you don’t know if you’ll like all the zen time, but over time you come to see the benefits of living frugally and nothing in the world could make you go back to your old ways. I know what you mean about avoiding shopping. Once a year I get ready for FinCon, and once a year this means the shopping bug takes over. I limit it as best I can. But vanity starts to take over. It’s been expensive — mainly on the beauty product front — by my standards. Probably pretty low-key by normal people’s, but that’s not my benchmark. At least the stuff I’m buying will last for a loooong time. Other than FinCon, I only wear makeup once a week on date night. Oh and, by the way, I love how well paint (and a little sanding) can utterly change the look of things. I found my dresser at a thrift store. It had graffiti, was missing some pulls and was just ugly, cheap laminate. I took it home, scuffed up the laminate with some sand paper and painted it. Then I replaced the pulls on top and brasso-ed the ones on the bottom. My aunt and uncle, who I was staying with at the time, couldn’t believe the end product. And our kitchen was, if I do say so myself, completely transformed with about $40 of paint and about $50 of pulls (we needed 27). It’s cool and unique, and I wouldn’t want to change it out for “nicer” cabinets even if someone offered them for free. Good post. I think one of the side benefits is that I get more use out of things I already own. For example, if I buy a bike, I’m going to use that bike a lot! I really hate buying something that gets unused. I had to laugh at your description of Frugal Hound’s baths. Spot on! My hubby and I gave our dog a bath this weekend and it was definitely an entertaining experience. For me, the best thing about frugality is that it helps me focus on my priorities. I will spend on what matters and cut back as much as possible on the rest. I like your point about evaluating priorities. When you have an abundance of choices and options, and the means to enjoy them (even if going into debt is the unfortunate means you choose), it’s really hard to know yourself and what you really value. Removing yourself from as many of these choices as possible, and learning what you truly miss and value seems like an extremely worthwhile venture. So true, more choices don’t make us happier. Shopping the clearance or sales for food helps me decide what to make for the week. Good prices (or free) make me the most happy! Putting together outfits from hand-me-downs is more creative and fun! We have had great family nights with just a bag of clothes that turns into a fashion show. My kids use the same back pack for school, until it really falls apart. Last year we repaired a Hello Kitty backpack strap and it is still going strong for this year. By taking these small steps I am able to afford to be a SAHM, whose goal it is to have an earlier retirement for hubby (We are past 33 already, sigh). Q:Are you planning to be a SAHM after baby (early retirement)? Great article. 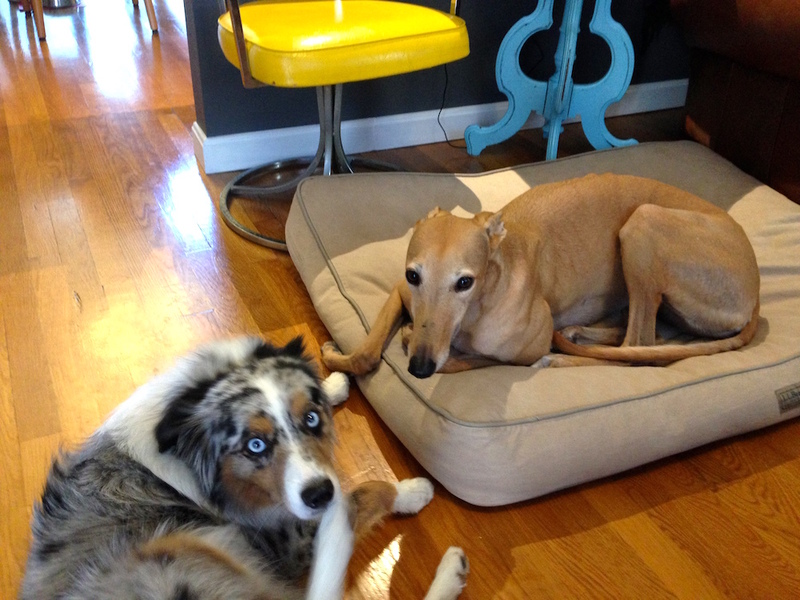 But most importantly, that picture of frugal hound’s friend…. Whoa. That dogs eyes just looked straight into my soul. I’m scared and impressed at the same time. Interesting post! I think my favorite benefit of frugality is that it forces you to focus on your priorities. No more wasting money on things that aren’t valuable! I both love and relate to all of these points on frugality. I mostly love that living a simpler life really encourages you to slow down and appreciate all that you have. A frugal life is a life centered on the people in it. Frugality makes you see that it’s not the stuff, not the rat race, and not the next big “success” that is most important. I love your posts! I wish I had found frugality earlier in life but, it is never too late, or so they say 🙂 Love your attitude towards baby. Our youngest has always had 95% hand me downs, very few new things. This happened by chance not choice in the beginning but now I am so grateful for it. Your child will be so blessed with parents like you. Frugality has added simplicity in my life which has raised the quality of how I live. It’s not that I skimp out on luxury I just learned to prioritize what is absolutely necessary in what adds value in my life. Love your website, thoughts and ideas. I’m 100% onboard with frugality and am saving 50% of my income. I don’t miss what I don’t waste my money on and am much more peaceful. I have recently started rescuing roadside treasures, cleaning, repurposing and selling. It’s a great side income for a frugal-hearted woman! What a great list of benefits of being a frugal/minimalistic person! 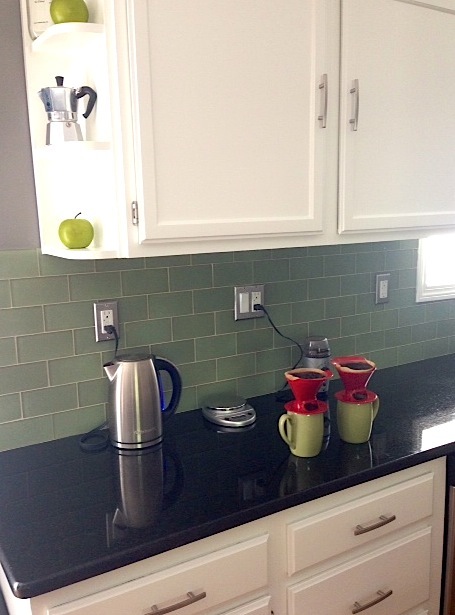 We’ve discovered many of the same benefits, especially in the realm of creativity, during our kitchen remodel. What can we reuse and how can we do things ourselves instead of buying more stuff have been the main questions. Not to not only save money, but also to prevent waste and make our house a little more unique than those that look like they’ve been plucked off the page from a Pottery Barn magazine. I have noticed I look at things differently lately. I have been decluttering in my mind as well as the physical items that go with the projects. I did not think frugality would “sift” down through the everyday life/projects like it has. Also, I almost hate to mention this, but want to make sure you (and everyone) are safe. I live in Colorado and we had a pregnant woman go to someone’s house to look at baby items sold through Craigslist. The woman doing the selling attacked her and this ended poorly. You may have heard about this – and just hope everyone will make sure to go with a friend when shopping at houses. Mrs FW, tip for the dresser. The drawer that’s missing a handle, how about you move the handle you still have to the middle and puddy the tiny holes? Then it’ll look perfect. ???? I absolutely admire you! I am so glad I found your blog. I am 43 and started moving into that direction. And it is so much fun! I am divorced but would like to have at least one acre and grow my food some day. I do not think I can completely retire. Also being a CPA helps to make decent money here and there. I do not want to work a lot, so I became frugal CPA. I value my time, love hiking. Hiking is my hobby and does not take much money, except for one year pass to all state parks in CA for $125 and some gas to drive there.